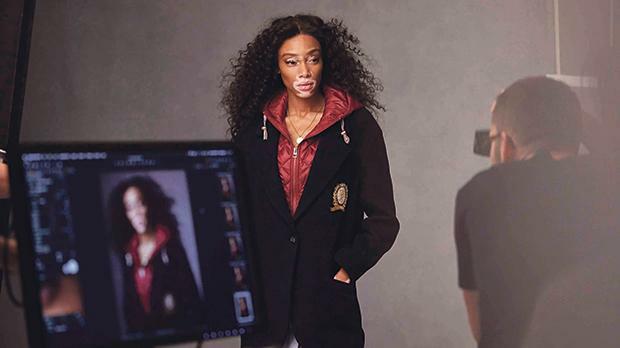 Tommy Hilfiger, which is owned by PVH Corp. has announced model Hailey Baldwin and model and activist Winnie Harlow as the new global brand ambassadors for Tommy Hilfiger Women’s for Fall 2018. As part of the brand’s global campaign, which celebrates icons of tomorrow in the worlds of fashion, art, music and entertainment, they will appear as the face of the Fall 2018 Tommy Icons capsule collection for women. Baldwin’s passion and dedication is reflected in her 12 years of training as a ballerina before starting her modelling career at the age of 16. Through her incredible reach on social media, with over 11 million followers on Instagram alone, she offers fans unique, behind-the-scenes glimpses into her life on and off the runway. Baldwin has walked all Tommynow experiential runways since Fall 2016, and has appeared on the covers of Vogue, Marie Claire, Wonderland, Elle, Harper’s Bazaar, L’Officiel and Love. She can currently be seen co-hosting the programme Drop the Mic alongside Method Man on US TV channel TBS and recently hosted the 2018 iHeartRadio Music Awards. The brand heritage of TOMMY HILFIGER is closely linked to collaborating with pop culture and sport icons. Most recently, the American designer announced that he would partner with Lewis Hamilton, British Formula one racing driver, four-time Formula One world champion, and global brand ambassador for Tommy Hilfiger men’s, on a TommyXLewis collaborative collection launching in Fall 2018. Hilfiger has also collaborated with international supermodel Gigi Hadid, designing four TommyXGigi capsule collections that brought a fresh new lens to the world of womenswear at Tommy Hilfiger. Tommy Hilfiger has also had recent partnerships with award-winning musician/producer duo The Chainsmokers and international tennis champion Rafael Nadal, reflecting its commitment to broaden the brand’s reach and connect with the next generation of consumers. The company announced earlier this year a multi-year strategic partnership with Formula One’s four-time World Champions Mercedes-AMG Petronas Motorsport as the official apparel partner.